8:09pm, strong rotation moving SE to ESE. 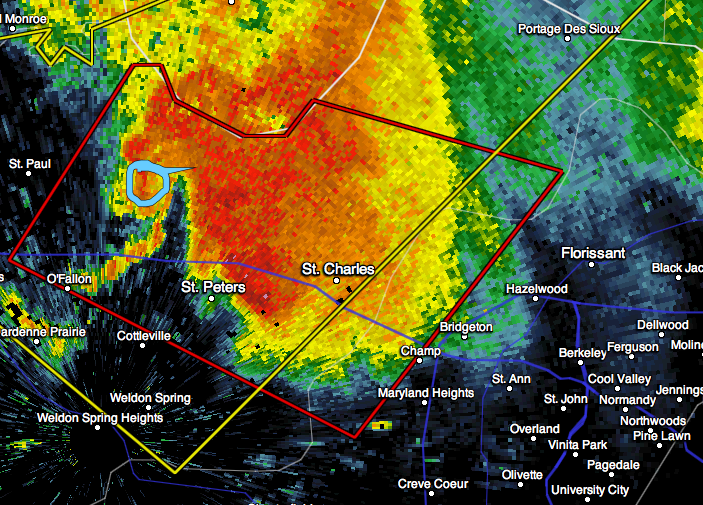 Take cover in St. Charles, Florissant, Bridgeton and Hazelwood! Please follow my coverage on Twitter: @usweatherexpert . 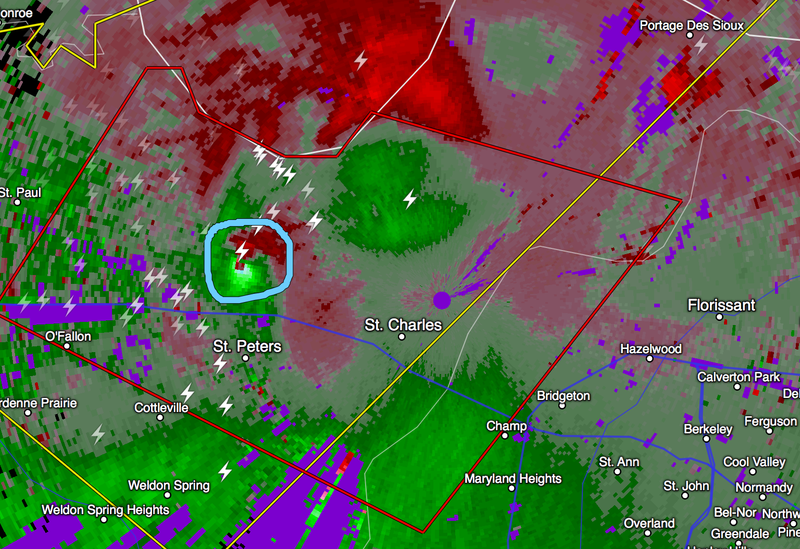 Center of rotation at 8:03 is blue circle. It is moving SE. 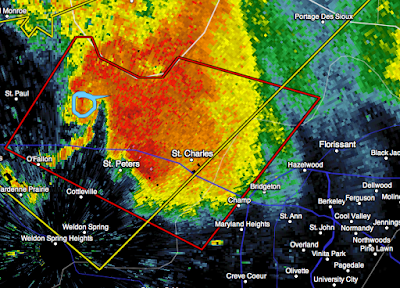 Tornado warning = red polygon. Take cover in this area.